3 for 10 - Shea Butter Lip Balms - Pick your favorites! 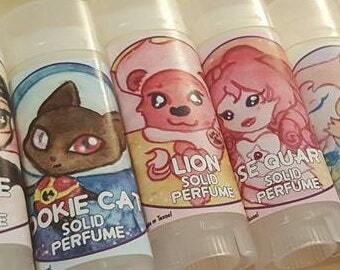 ★ My Lipbalms are handmade in small batches with 100% All Natural Base, Cruelty Free and no animal testing. The finest flavor oils are blended with care, Essential Oils will be listed if used! Labels are my own watercolor artwork. 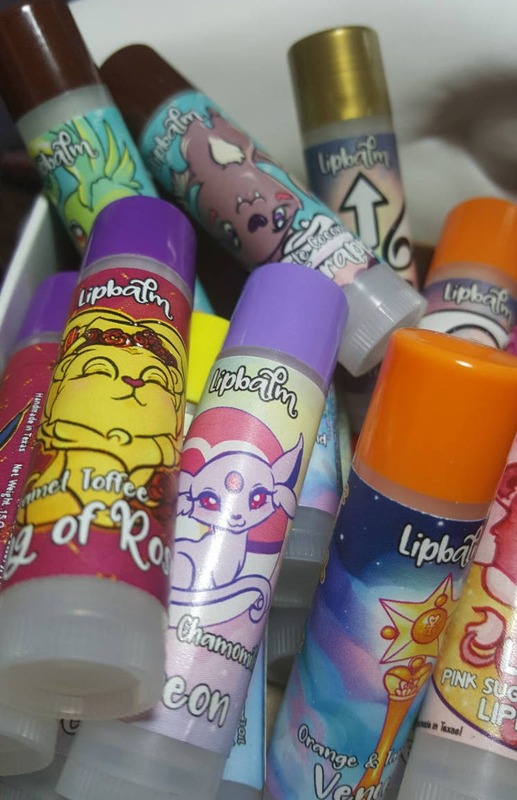 ★ Lipbalms are handmixed from rich butters and luxurious oils so they will pamper your lips, and never be greasy. No added sweeteners! 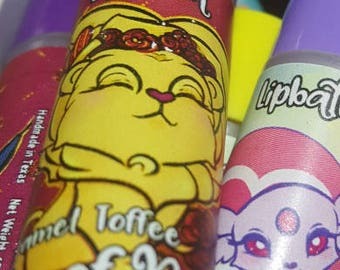 ★ This listing is for THREE Lipbalms. 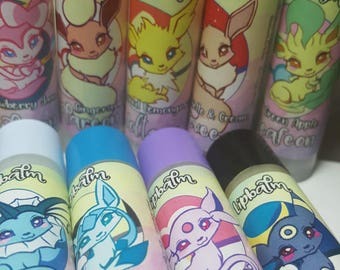 Each Lipbalm .15 ounces, and individually shrink wrapped to keep fresh! Play of the Game Collection - 6 New! ★ Calvary's Here! Cinnamon, Ginger, and a Tracer of Mint! 3 for 15 - Solid Perfumes - Pick your favorites! 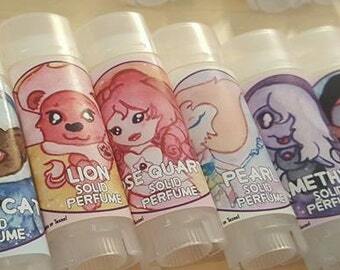 Solid Perfume - Pick your Favorite! A great product that feels nice on my lips. Some of the flavors I tried didn't have a lot of fragrance/taste (whatever you want to call it) once I applied it, but all smelled great in the applicator. And the ones that did have a strong fragrance definitely popped. Thank you so much for the freebies as well! Purchased Overwatch lip balms as a gift. They were so cute and my friend absolutely loved them! Highly reccomend. Cancellation within 24 hours, please! I want you to be happy with my products! However, if items are damaged in shipping I can not replace them - please purchase insurance! If you arent happy with what you receive please let me know - I will do everything in my power to make sure you love what you have. However! Due to the nature of hand made cosmetics, I can not accept refunds -nor - exchanges on any items. I will ship your package within 1-2 business days unless I need to do a fresh pour, and I will let you know! All Bath and Beauty products are shipping in a bubble mailer, or larger orders in a box. All items are shipped via USPS 1st Class Mail. Upgrades are available as requested - please allow enough time for shipping before a special event. I will happily ship straight to a giftee as well as include a personal note, please leave a note during ordering. While packages generally arrive MUCH sooner please allow the post office up to 2 weeks for Domestic delivery and up to 4-5 weeks for International delivery. Thank you for your understanding! The Postal Faeries can be tricksy! Please remember that shipping around any holiday can be very unpredictable and Priority Upgrades are recommended to ensure faster delivery times. Insurance is not included! Please contact if your shipping costs look odd for any reason, Etsy Shipping can be silly. Wholesale and custom products upon request.